Chennai’s garbage : How realistic is the dream of a bin-free city? In a much-awaited move, the Greater Corporation of Chennai (GCC) is all set to launch its bin-less waste transfer process on a pilot basis in a few of the wards in its newly added areas, which would eventually be extended to cover all of the 15 zones. This would mean that GCC is planning to focus on source segregation and waste processing, instead of the current method of street bins being emptied into compactor trucks which transport the garbage to the dumping yards. As discussed in the first part of this story, lack of source segregation and waste processing mechanisms are the major drawbacks in the SWM practices in Chennai. The Corporation’s plan to introduce a second phase of segregation with the involvement of informal sanitary workers, if implemented effectively, could make SWM more efficient. This is in consonance with the newly enacted SWM Rules,2016 which lay emphasis on source segregation, decentralized waste processing as well as monitoring of these activities by the local, state, and central government bodies. The Ministry of Environment and Forests, had allocated six months to the local bodies to come up with SWM plan, and two years for implementation of source segregation. According to the rule, the local bodies should arrange for door-to-door collection of segregated solid waste from all households including slums and informal settlements, commercial, institutional and other non residential premises. At the same time, the waste generators should segregate waste into bio-degradable, non bio-degradable and domestic hazardous wastes. The Corporation is considering an increase in the number of conservancy staff to carry out the new plan; but the process would also require the support of informal workers, and community-based organizations (COBs). The GCC could take a lesson out of the successful models like the ‘Thooimai Kavalar’(Sanitary Guards) Scheme from the state itself. The scheme under which garbage collection and segregation are done by self-help groups (SHGs) has been extended to cover 9,000 villages this year. The workers are paid through the Mahatma Gandhi National Rural Employment Guarantee Scheme (MGNREGS) for 100 days, and the rest through the State Government’s Solid Waste Management Fund. Inspired by the success of the Thooimai Kavalar scheme, work to implement similar schemes has been initiated in Chhattisgarh, Telangana, and Andhra Pradesh, whereas Kerala had already incorporated SHGs in SWM under its Kudumbasree programme. In its analysis of the best practices in SWM, The National Institute of Urban Affairs (NIUA), New Delhi, cites the case of Seva Sahakari Sanstha Maryadite, Pune (SWaCH), a cooperative of self-employed waste collectors. The SWM is carried out by SWaCH in collaboration with Pune Municipal Corporation which plays the role of a facilitator by organizing awareness programmes and asks the residents to pay a user fee to SWaCH. The absence of community participation is cited as one of the main reasons for the poor implementation of SWM schemes in many cities in India. The local bodies that are actively engaging with community-based organizations perform better in source segregation and waste processing, according to NIUA. A few of the resident associations in Chennai are active in implementing source segregation, decentralized waste processing, recycling and conducting awareness programmers. The Corporation had adopted Harrington Road as a model locality in SWM, and in partnership with the Harrington Road Residents Association (HRRA) had introduced source segregation. Residential apartments, schools, hospitals, foot stalls, and big and small commercial buildings are included in the initiative to separate dry and wet waste in separate bins. According to the HRRA, the waste was collected only after it was segregated, and biodegradable waste is processed in community composts. Medical waste is disposed at a hospital in the area, electronic waste at one of the shops, and garden waste is collected separately. The Kilpauk Residents Welfare Association conducts an annual event called ‘Clean Kilpauk Campaign’ in association with GCC. The members say that the Corporation has helped them set up a compost pit. The residents of Nawab Gardens, in Kotturpuram, have embarked on a waste management programme over a year ago, under a campaign called ‘Clean Kotturpuram’. The recycled waste is collected by Earth Recycler, a private enterprise which offers various waste management services. Like many CBOs in Chennai, the members of the association are awaiting the Corporation’s support in setting up community composts. MRC Nagar, Shanti Nagar and Kalakshtra Colony are among the residential communities that have introduced source segregation and decentralized processing of garbage. In a bid to attract residents from other localities, the ‘Clean Chennai’ campaign has published a guide for residential associations on implementing SWM plans in their apartments. An interesting example that the Corporation could consider is the formation of Citizen Committees under the Advanced Locality Management (ALM) Programme by the Municipal Corporation of Greater Mumbai, in which the citizens in an area form a group and register in their respective ward as an ALM Society. The members segregate wet and dry waste; dry waste is collected by MCGM while the wet waste is processed locally by composting or sent for recycling. MCGM appoints an ALM officer in each ward to coordinate the activities. 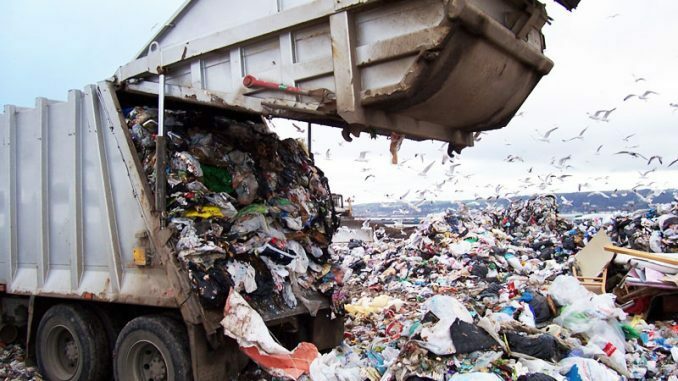 Even if source segregation is done effectively, a logistical system to connect the waste-generators with recyclers and scrap dealers is essential without which the process of segregation would come to naught. “Carrying out SWM in decentralized manner is the key”, says Sabina Narayan, activist and member of HRRA. “Each zone should have its own waste management programmes including vehicles, recycling networks and waste processing units,” she says. “ We segregate and keep glass bottles and big plastic and metal waste materials. Often, dealers and waste collectors come and pick it up for a small price. But, we can’t store them for long and when scrap dealers don’t turn up we have to dump them in the waste bin,” says S. Vasantha, a resident of Alandur. “If the segregated items are collected regularly, we wouldn’t have to put them in the bins along with wet waste, she adds. This concern raised by residents from many parts of the city points to the gaps in waste management network. Incorporation of informal sanitary workers into the SWM policy is a key factor; the new SWM Rule directs the local bodies to organize and provide training to informal sanitary workers. Many waste management initiatives in the private sectors tap into the monetary value of the recyclable waste materials. Over 380 kilotonnes of waste generated in Chennai is recyclable, and around 600 small scrap-dealers in Chennai handles around 33 percent of the entire recyclable waste generated every month, according to research conducted last year by Kabadiwalla Connect (KWC). KWC is one of the start-ups in Chennai that have incorporated informal workers by mapping them in their respective localities on an online platform that enables the customers to locate them and arrange to pick up waste. According to the data collected from three zones in the city by KWC, informal workers collect 5,730 tonnes of paper, 2,100 tonnes of plastic, and 2,070 tonnes of glass every month. This amounts to 40 percent of paper, 18 percent of plastic, and 60 percent of glass waste generated in the city. This would be approximately 35 per cent of all paper, plastic, and glass waste ; which means that the informal workers prevent 21,820 tonnes of waste from reaching the landfills. The scrap dealers in the informal network are often forced to sell the products below the market price or are unaware of the actual price of the materials, according to KWC, the platform helps increase the earnings of the scrap dealers. KWC buys from scrap-dealers, do further segregation and aggregrate the materials to enough volume to sell directly to waste processors. app. Another similar initiative is Paperman, which has incorporated informal workers into their waste management service. The customers can contribute the cash earned from the waste to support an NGO of their choice. Pointing to the possibilities of trash economy, Paperman says that the 43 million tonnes of waste generated in India every year is worth Rs. 20,000 crore. Paperman helps raise fund for around 250 NGOs in Chennai. The Wealth out of Waste(WoW) programme by ITC, in partnership with Ramky Enviro Engineers, is another initiative organized in cities including Bangalore, Chennai, Cochin, Coimbatore, and Madurai. The firm provided bags to each household in select localities to collect waste paper, plastic and metals. The waste materials were collected every 10-15 days; and the collected paper is baled and sent to ITC’s processing units. But according to reports from Coimbatore, the programme has met with some hiccups in implementation. The SWM Rules, 2016, say that the Department of Fertilizers, Ministry of Chemicals and Fertilizers, should provide market development assistance on compost and ensure promotion of co-marketing of compost with chemical fertilizers. Meanwhile, the Ministry of Agriculture should provide flexibility in Fertilizer Control Order for manufacturing and sale of compost; propagate utilization of compost on farm land; and set up laboratories to test quality of compost produced by local authorities or their authorized agencies. The Chitlapakkam town panchayat near Tambaram, has come with an effective SWM plan. The residents of this town panchayat, with a population of 50,000, cooperate effectively handles the waste it generates with the help of sanitary workers who segregate 10 tonnes of garbage every day. The plant which had cost over Rs. 58 lakh was funded from the general fund of the town panchayat. The local administration also entered into a contract with a private company for Rs. 14 lakh project to segregate the garbage that has been dumped at the dumping yard for years. The vermin-compost produced at the plant is sold for Rs.20 per kg and compost at Rs. 3 per kg. According to GCC, it runs composting plants at Thangal Eri Park (1.5TPD), burial grounds at Oragadam (1.5TPD), Villivakkam (1.4TPD), and Koyambedu (0.75 TPD). More residents associations, educational institutions, apartment complexes, and commercial institutes in Chennai have started to set up community composts in their compounds. Aiming at processing at least 50 percent of the municipal solid waste generated, last month, the GCC and Department of Municipal Administration have initiated steps to revive facilities to generate fertilizers and electricity out of biodegradable waste. Last year, as part of an initiative led by film actor R. Parthiban , activists had approached the GCC and State government officials to improve SWM processing facilities and develop a network of urban residents and farmers in the suburbs and rural areas to make fertilizers available to them. When all the talk is about exploring business possibilities in waste management, this initiative advocates a not-for-profit approach to SWM and aims to distribute the fertilizers free of cost to the farmers. “The corporation, public and private sector have to work together for successful implementation of SWM policy. For instance, the residents of Harrington Road had approached the Corporation for land for setting up compost pit and the Corporation had allotted it. The residents are paid for the recyclable waste collected, and we provide vermi-composting services,” says Mohammed Dawood, Director-Business Development, Earth Recycler. “In the case of MRC Nagar, we had approached the Corporation, though it took a while land was allotted for five vermin-composting pits,” he adds. There were three vermi-composting pits already and around 1,000 households are part of the waste management programme organized by the residents. According to Earth Recycler, setting up a five cubic meter biogas plant would cost around Rs. 10,000. It is mandatory for all restaurants and eateries to ensure that the food waste is utilized for composting or biomethanation within the premises as far as possible. The GCC and Tamil Nadu Pollution Control Board have initiated steps to implement this. All residents and markets associations, gated communities and institutions with an area with more than 5,000 sqm area should facilitate segregation of waste and handover recyclable material to “either authorised waste pickers or the authorised recyclers”, the Rule says. The bio-degradable waste should be processed, treated and disposed off through composting or biomethanation within the premises as far as possible. The residual waste should be given to the waste collectors or agency as directed by the local body. The GCC already has biogas plants Otteri (3 TPD), Pulianthope (2TPD), and two plants of 5TPD at Perambur Slaughter House which uses the ‘Nisarguna’ technology developed by Bhabha Atomic Research Centre (BARC). The electricity generated 2TDP unit functioning at Pulianthope is used to provide power for street lights, while a 4TDP plant is operated by a private company along the Old Mahabalipuram Road. Two more at Anna Nagar ( 3 TP) and Athipattu ( 3TDP) Ambattur are nearing completion. According to BARC, biodegradable garbage including kitchen waste, paper, animal remains in abattoirs, hospital waste, green plant waste, cow dung, residue of crops, bagasse (residue left after extraction of sugarcane juice), and water hyacinths that stifle Chennai’s waster bodies. The waste is first segregated to remove any non-biodegradable materials left, homogenized, and subjected to aerobic and anaerobic processing. The process takes 19 days, while the conventional biogas plants would take 40 days. The end-product is biogas could be sued in the kitchen of for power generation, as well as weed-free good quality manure. This is very important for replenishing organic carbon in the undernourished soil after years of agriculture. Seventy percent of water used in the process can be recycled, according to BARC. A one-tonne/day capacity plant would need 100 square metres space and costs Rs. 16 lakh. BARC Around 200 biogas units based on ‘Nisarguna’ technology are functioning across India. The Ministry of New and Renewable Energy Sources should facilitate infrastructure creation for Waste to Energy (WtE) plants and provide appropriate subsidy or incentives for such WtE plants, according to the SWM Rules. The Ministry of Power should fix tariff for the power generated from the WtE plants based on solid waste and ensure compulsory purchase of power generated from such WtE plants by power distribution companies. The SWM makes it mandatory to utilize all non-recyclable waste having calorific value of 1,500 K/cal/kg or more for generating energy through refuse derived fuel (RDF) or as feedstock for preparing RDF. High calorific wastes should be used for co-processing in cement to thermal power plants. Many environmental activists are unhappy with the idea of RDF. Organizations like GAIA, say that the mechanical segregation that is part of RDF cannot eliminate toxic substances like PVC (polyvinyl chloride) plastic or other domestic hazardous wastes like CFL lamps that contain mercury. Incineration releases harmful chemicals including Persistent Organic Pollutants (POPs, non-biodegradable) like carcinogenic dioxins, furans and heavy metals like mercury and lead. Moreover, disposing the residual ash from burning the waste is even difficult, says a study by GAIA. The study also points out that burning waste is an inefficient and costly way of generating power. Although the city has an effective system for biomedical waste management, the National Green Tribunal has recently ordered a probe into the allegation that hospitals in the city engage in the dangerous practice of selling biomedical waste to outside dealers instead of handing it over to treatment plants. Many volunteer-based organizations, NGOS and citizens’ groups like Chennai Trekkers Club, Environmentalist Foundation of India, and Exnora Forums organize cleaning drives, awareness programmers and community initiatives to coordinate waste management activities in the city. The promise of implementation of source segregation that would do away with community bins, effective waste processing methods and monitoring policies stated in the SWM Rules, and community participation gives hope in Chennai’s long journey towards zero garbage. Both the articles, long journey ahead, and how realistic are very well researched, informative and comprehensive. Thank you.